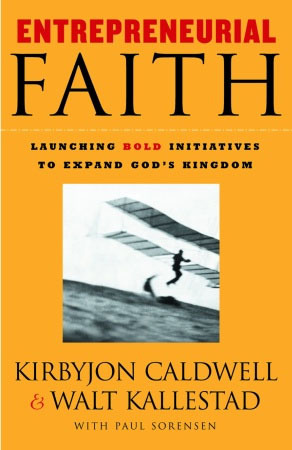 Caldwell and Kallestad bring considerable credibility to this subject of entrepreneurial faith with their personal experiences and achievements in birthing businesses outside their churches to serve their communities. Both authors agree that today’s role of the Church has become too narrowly defined and lived out that churches have lost touch with their communities. According to them, most churches merely focus on organisational maintenance that is targeted at meeting the needs of their congregation. But none or little is prioritised to those people outside the church. With the objective to transcend the status quo in ministry and to encourage kingdom-minded entrepreneurship, this book serves as an excellent manual for budding entrepreneurs who see themselves as missionaries or “tent-makers” in their community. To them, true entrepreneurs are change agents that are not primarily in pursuit of money, but using his or her skills and expertise and knowledge and passion to make life better for others. These group of people embody what they defined as entrepreneurial faith, one that launches the love and power of God out from the four walls of the church; taking the gospel out of the church and to the people. Albeit this book covers a good range of topics and provides practical advice on being an entrepreneur, but it does not present any new revelation about entrepreneurship or faith. More theological depth for support would be an improvement to this book. Who should read it: For budding social entrepreneurs and church leaders.